The last time they met, England thrashed Scotland 6-0. A lot has changed since the 2017 European Championships. Both teams have changed managers, Scotland have the experience of a major tournament debut under their belt and will have two key players back after defender Jenny Beattie and midfielder Kim Little missed the Euros. The oldest international rivals in football will also face 2011 world champions Japan and Argentina in Group D.
Scotland defender Beattie and former England goalkeeper Rachel Brown-Finnis explain why the game will be “electric”, why it will be different from Euro 2017 and how far the teams can go in the tournament in France, which begins on 7 June. Jenny Beattie: “My phone has been buzzing already. There are a few Scottish players back at my club, Manchester City, and an abundance of English players, so the banter will be flowing until the World Cup. “It’s a double whammy – it’s a first ever World Cup game for Scotland and it’s against England, so it’s massive. The girls probably had a similar feeling going into the Euros and to have that again just adds to the excitement. “It will definitely be a different game this time compared to the Euros. The squad is slightly different, we have a different coach in Shelley Kerr and that was our opening game in our first tournament. We learned from it. “England will want to go one or two steps further than their third place at the 2015 World Cup. We will be one of the teams trying to stop that, so to work day in, day out with some of the players back at Manchester City will be interesting. Rachel Brown-Finnis: “The England players will be absolutely buzzing about this game. It was a dream pairing. It will be full of energy and full of emotion. It will be electric. “The 6-0 is not a reflection of what Scotland will be like next summer. They haven’t reached France by luck and have world-class players in their team. “The hype building up to the game will be huge and it couldn’t have been a better opener for the tournament from both teams’ point of view. Beattie: “Japan are another tough team to face in the group. They have been incredibly successful in the last decade and have reached the previous two World Cup finals, winning the tournament in 2011. “We have never played them at a competitive level, so we’ll need to get as much information as possible, but that’s one of Shelley’s best attributes – to get information on other teams. She will put us in a great position. “We have never played Argentina either and we probably don’t know too much about them yet, but that’s a special part of a World Cup – the unknown. Brown-Finnis: “England will be happy with the group, especially avoiding teams like Sweden, who they lost to recently, and Netherlands, who beat them in the Euro 2017 semi-final. 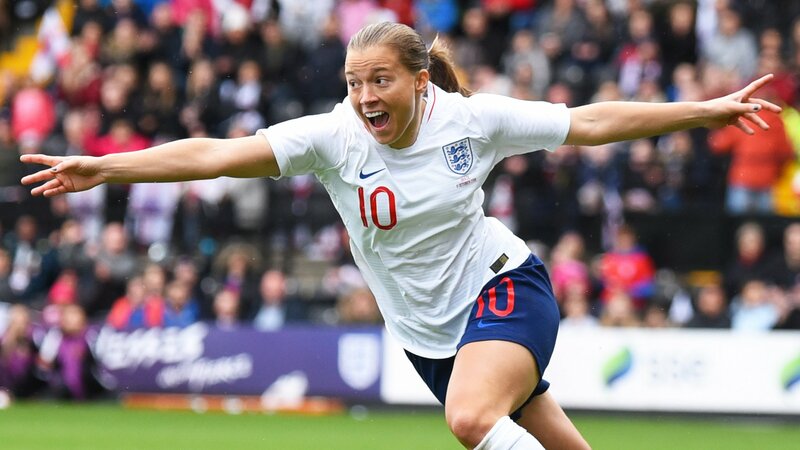 “England have history with both Argentina, who we beat in the 2007 World Cup group stages, and Japan, most recently in 2015 when the players went through the absolute mill after losing following Laura Bassett’s stoppage-time own goal. “It was a cruel scenario but those experiences shape you moving forward, and England showed character a few days later to beat Germany and earn third place. How far can England and Scotland go? Brown-Finnis: “I’m backing England to win in France. England have played against all their group-stage opponents and they are starting to understand what it takes to win – to learn that mental side of living like a winner, expecting to win and managing those expectations. Brown-Finnis: “Shelley has brought in a different approach. We could all see that they could have been playing better football than were from a tactical point of view. “Now they are getting the ball down and playing, using their strengths such as pace, and they have moved up a notch with everything, including their fitness. Ivanka used personal email for government business hundreds of times: report.